"Where's Teddy?" 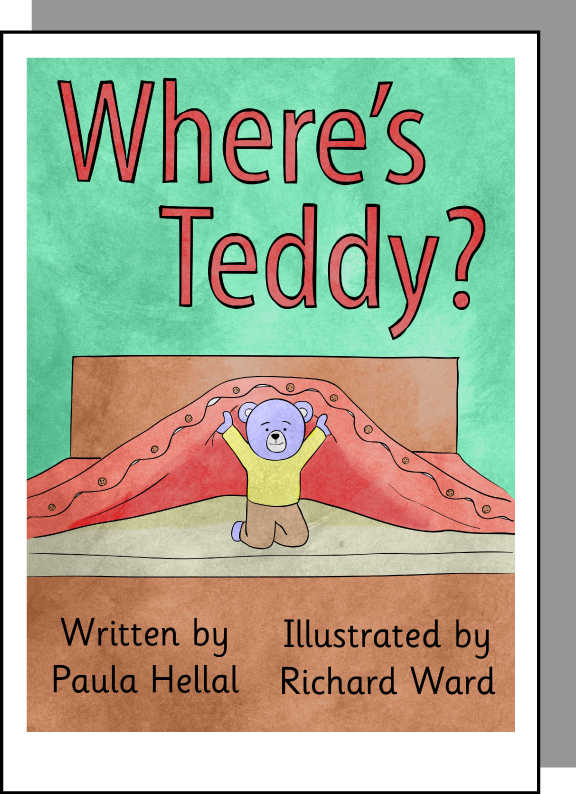 is a story of a teddy bear hiding in various places around a house and garden. The focus of the book is on the prepositions "in", "on" and "under". The pictures contain considerably more information than can be found in the text. Picture books help develop observational skills. Talking about what is happening in the pictures assists in the development of a child's vocabulary and, by focusing on meaning and comprehension, is instrumental in the acquisition of reading skills. "Where's Teddy?" uses a highly repetitive syntactic structure to reinforce the understanding and acquisition of words used. The teaching pack contains a USB to enable you to share the story with a group.